Dolav Ace With Three Runners, 620L (1200l x 1000w x 740h mm) Various Colours Available! 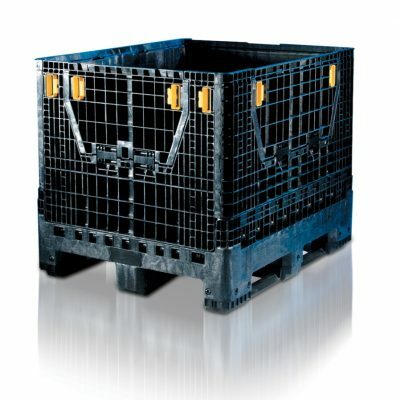 Plastic pallet boxes are the most suitable boxes for storage and transport. We therefore offer large plastic boxes and pallet boxes which are the best to store bulk goods, fruits and vegetables or other such food products. Our boxes are available in several dimensions and types, to provide convenient services. Pallet box are extra-large, does suiting the requirements to the industry. Also, being heavy duty bulk containers with pallet footings only makes it much widely excepted storage solution. These pallet boxes can be easily lifted with a forklift and come with either feet, castors or skids. 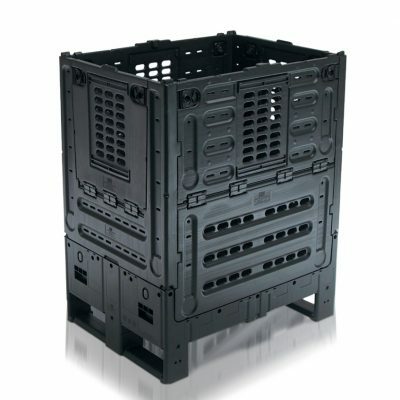 We store a range of plastic pallet box for which are great when it comes to saving valuable space. These particular boxes are easily stackable and helps saving space around a decent warehouse surface. Plus the folding boxes, assist in saving the cost of return transport of empty package. As folding /collapsible containers fold when empty on return transport. Our folding containers have drop down doors, allowing for easy, fast access of stored goods – ideal for storing cables and displaying goods in stores. Ventilated pallet boxes allow for air circulation, this is especially useful when storing perishable goods, such as fish, fruit and vegetables. 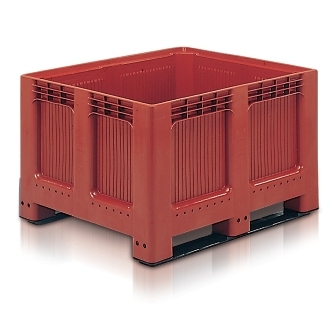 Our bulk pallet box pass out three essential qualities, which is they are strong, durable and hygienic. It is of great importance to have a clean and hygienic box, because it is used to store food products. 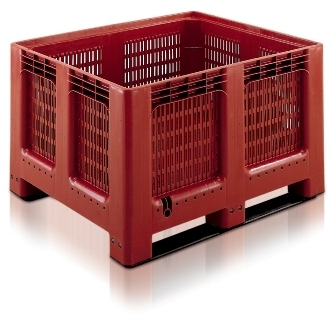 Plastic pallet box are ideal for a host of applications when hygiene is the main concern. Our box storage are designed with smooth surfaces and curved corners and are free from dirt traps. Which is it easier to clean whilst also protect contents from damage and is not time consuming. 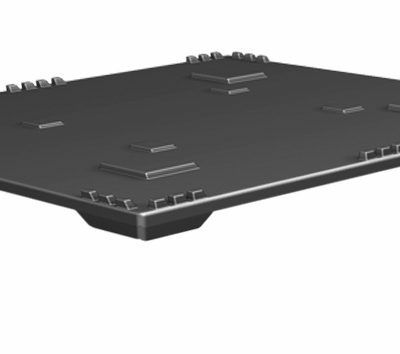 Our available products include solid or ventilated, on runners or feet and we also provide lids for our bulk containers. Why choose plastic pallet boxes and bulk containers? The retail and food industry is demanding, just like any other industry. It is pretty reliable on various supplies, local and international distributors. Each counterpart is responsible for smooth running distribution hubs, including multiple stakeholders from local and international suppliers and manufacturers. 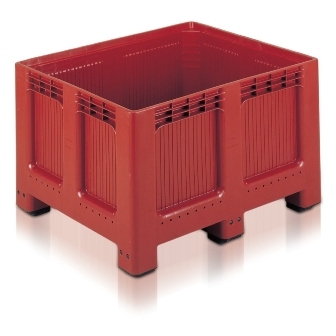 Plastic pallet box are becoming ever popular within the food retail industry. Hygienic, durable, consistent and designed with the application in mind, plastic pallets offer a high return on investment. Since plastic pallet box are significantly lighter distributors prefer it and also it improves the manual handling conditions. Plastic pallets are made to a high standard, with precision consistency when compared to wood and one size pallet fits all. A complete logistics loop solution in one pallet, which is the ideal bulk container, for heavy duty solution for use through the logistics process. From supplier to the retail distribution centre and into the store for retail. Pallet Box is especially beneficial to major supermarkets, retailers with multiple stores and franchises with high volume supply chain. Also it is preferable to use a hygienic plastic pallets that are compliant with pharmaceutical and food handling regulations. Produce can go straight out onto the shop floor, removing the need to transfer it onto different pallets. 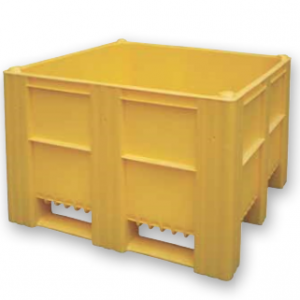 A highly suitable medium plastic pallet box, is ideal for transporting light loads. Often in small batches, such as fresh fruit and veg, chilled meats; garments and household goods as retailers continue to broaden their in-store offering, and in-store displays. Our plastic pallet box were particularly designed especially for transporting. You can rest assured that your product will not be damaged, as the pallet box are sturdy. Maintaining the quality of products is easier, even when it is being transported because of the less chances of goods getting damaged in such sturdy boxes. Also, these solutions being equipped with fork entries, makes it easy to manoeuver, load and unload in warehouses and on trucks. 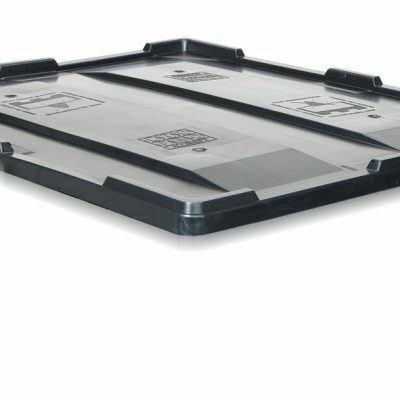 As our plastic pallet box are made from plastic, they create less waste and are 100% recyclable. Which only makes them more environmental friendly and more preferable over wood, metal and cardboard pallet alternatives. Pallets made from other such alternatives are to be disposed after one use which makes it less desirable. Pallet box is economical for our customers and being a recyclable product, it is capable of producing from recycled plastic. Plastic pallet box are known to provide hygienic storage for a range of industrial and commercial products including fruits, vegetables and other fresh produce. Plastic does not rust when compared with other variants and there is no chance of it attracting fungus or termites. Thus it is safe for handling and storing all kinds of food. We understand how busy our customers are and they are looking for options which hare low cost maintenance. Plastic pallet box is in fact manufactured from a high-quality, which is a scratch resistant material. Our pallet box requires little cleaning and minimum maintenance. Simply spraying with water through a hose and wipe down, is sufficient. We are all looking up to save space in some way or other that is where pallet box is preferable. As the good thing about them is that they can be stacked securely. This will help our customers to save more space in warehouses or on trucks while in transit. One of the great outcome of this is that it lowers the transportation costs without sacrificing product quality. Just simply assists in making the entire logistics process much more effective. We understand that our customers are looking for a product which is durable. Plastic is the real deal when it comes to durability and our pallet box are made from high-density polyethylene. If you are unaware about the term, we would be happy to let you know that it is capable of extreme resistance to impacts, weathering and rotting. It means it is highly reliable and resilient material. So these plastic pallet box are made from the material which can be used again and again. Along with the cohesive product design, our pallet box are made the perfect transport storage solution. It is one of the best secure storage solutions that protects different kinds of products, in both commercial and industrial environments. The product is designed with no harmful splinters, sharp edges or protruding nails, resulting in a product you need not worry about. Plastic pallet boxes are totally safe to use, and is ergonomically designed to be safe for manual handling. Industrial workers are safe when handling this product and will not injure themselves while stacking, loading and unloading the boxes safer and easier for workers. Pallet box does not only promote a healthy working environment, but they also help to improve productivity. We understand how necessary it is for our customers to be able to choose the right pallet box as per their uses. Being able to choose the right plastic pallet box will only help the customers to save time and money. Thus we are happy to provide you with the suggestions which you can consider before purchasing the right pallet. These considerations will ensure you make the right purchase of product for your required application. What application are you purchasing for? It is important to know about the usage because you need to buy a product which will fit your need. Therefore, choosing the right pallet for your application first, will give you an idea of the size of pallet box you require. It will also ensure of the strength and the load you can no doubt place on the pallet. You need to determine whether you are using pallet box in a closed loop supply chain, or shipping it one way, perhaps for export. It is essential for you to determine so as it will help you decide what “duty” or strength of plastic pallet box you need. It’ll also determine the level of investment. Be aware about how many of these pallet boxes you need, so that you can go ahead and make a one – time purchase Also make sure of how you want it to be delivered or if you need several deliveries split over a period of time. It is always advised to compare it with your previous product, upgrade it if the need be and you can always choose to purchase a new one which you think will fit your requirements.